// Some code copied from the MPU-9150 Arduino Playground page. Is there any significant drift in the Gyro-values? Where can I see the wiring schematics? I did not produce a wiring schematic, but it is very straightworward. 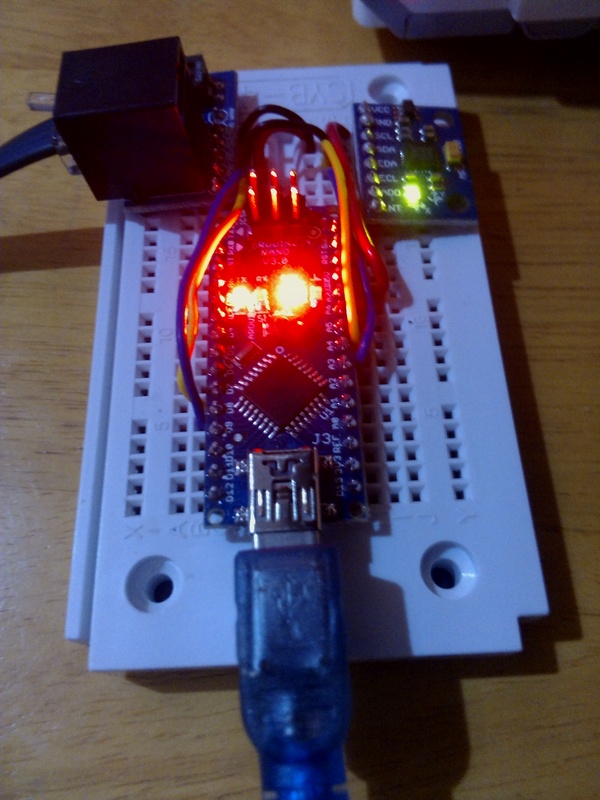 The 5v, GND, RX and TX from the EV3 connector go to 5v, GND, TX and RX on the Arduino, and 5V, GND, SCL and SDA from the Arduino go to VCC, GND, SCL and SDA on the sensor. Hi, I just discovered the EV3 Uart emulation code. I have got an Arduino uno connected to an EV3 and with the test code, the EV3 recognizes it as a sensor (it recognized modes etc), but I am unable to get a value to the EV3.